Sign Up To Get Our App! The team at Apple Valley Veterinarians is passionate about veterinary care. We are committed to helping pets in Southington, Hartford County, and surrounding areas in Connecticut stay healthy and recover quickly from illness and injury. Our Plantsville Veterinarians are dedicated, compassionate, attentive providers focused on delivering quality care to our pet-patients and valuable resources for their owners throughout every life stage. Pets deserve all the love and skill we can offer. In keeping with our mission statement to consistently deliver quality care, our Apple Valley Veterinarians staff participates in ongoing professional development and continuing education. As part of our commitment to maintaining the highest standards possible, we furnish our clinic with state-of-the-art, modern diagnostic and therapeutic equipment. Having imaging capabilities on site speeds diagnosis and treatment planning, moving your pet toward a faster recovery, and availability of rapid clinical laboratory results with boarded clinical pathologists available for consultation at a nearby reference laboratory assures reliable data for accurate diagnoses. We highly recommend preventive care to keep your pets healthy. Annual physicals allow our doctors to identify and treat developing problems before they become critical, life-threatening conditions. Along with administering vaccinations and boosters, the annual exam provides an opportunity for you to discuss lifestyle and behavioral changes that may indicate underlying emotional or physical challenges with your veterinarian. Slight changes in feeding habits, personality and mobility may signal serious problems and warrant a closer look. If your pet requires surgery and/or hospitalization, our team is fully-prepared and equipped to provide perioperative care for routine and advanced procedures, including follow-up supervision via telephone, in-office post-op exams and medical boarding when appropriate. Medical boarding is also available for your pets that need injectable maintenance medications (such as insulin for diabetes) or suffer from chronic conditions that require medical monitoring while you are away from home. We do not provide standard pet boarding because boarding healthy pets and those with a compromised immune system puts both groups at risk. Through partnerships with board certified veterinary specialists in our area, we have access to ultrasound imaging, x-ray interpretation, dermatology services and behavioral counseling. We also provide burial and cremation services when pets reach the end of their life journeys. 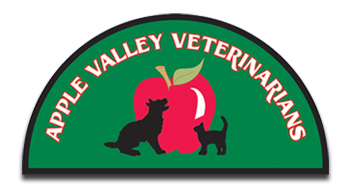 Our Apple Valley Veterinarian team works hard to build long-lasting, loving relationships with your pets and their families in Southington, CT and the surrounding areas. We appreciate the opportunity to earn your trust and welcome referrals of friends and relatives.